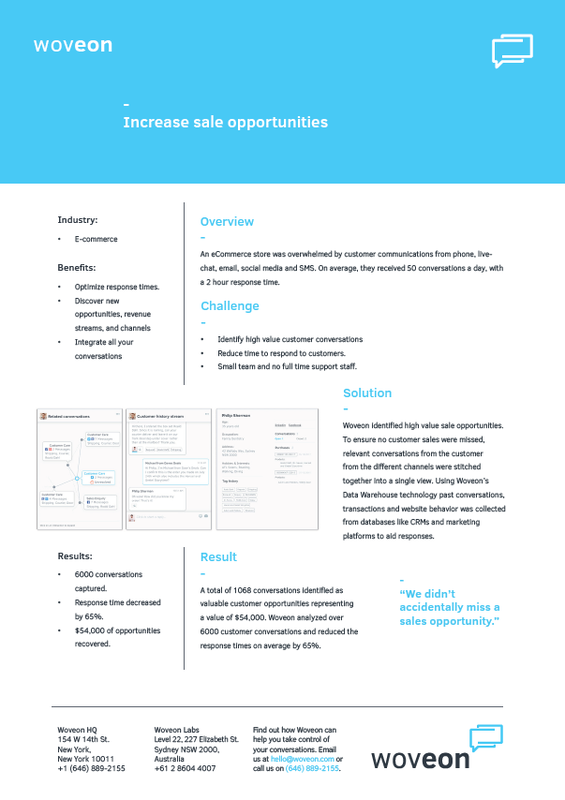 Overwhelmed with customer conversations from multiple channels, this eCommerce company was struggling to reply to all their customer communications. They wanted to reduce the time it took them to respond to customers and at the same time, target high value customers to maximize revenue. They chose Woveon to solve their conversation dilemmas. Download to see their results. Keep me updated about Woveon. Contact me about conversational business intelligence.